Getting from A to B in India can be done in many ways depending on distance and infrastructure. Trains, buses, domestic flights, guided tours through cities and car rentals with a driver are all ways to travel. 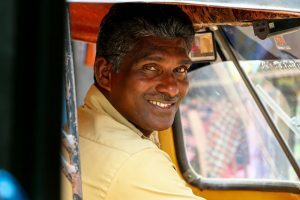 Here are some good reasons why a car rental in India with a driver and why guides might be something for you to explore further. WHY SHOULD YOU USE CAR RENTAL WITH A DRIVER IN INDIA? While India has an amazingly connected railway system, getting train tickets and boarding trains on crowded Indian platforms can be a chaotic and stressful experience. Having a car with driver eases the hassle immensely. Having a car with a driver gives you immense flexibility. Leave a city at the time you like and make as many unscheduled stops en route as you want. Car rental is relatively affordable, and you get the comfort of a nice car and chauffeur. The convenience of being entirely at your disposal paired with the local knowledge of the driver makes touring India with a driver and car a worthwhile cost. How much does a car rental with a driver cost? We highly recommended that you tip your driver at the end of the tour. Car rental prices can vary from company to company and region to region, the prices given here are an approximation. The rates are calculated considering you use the car to drive you from between destinations within a region (longer driving distances). Rates for car hire for internal sightseeing within a city would be cheaper. Here’s a good overview of how much money travelling would cost you in India. Can India Someday help you with a car rental in India? Of course! Depending on which regions you visit we can find you a trustworthy driver and car hire. Plan your trip with us by giving us more details of what you expect and we’ll find the best service for you. 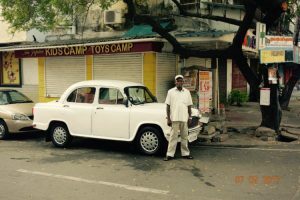 HOW DOES HIRING A CAR WITH a DRIVER WORK IN INDIA? You can book car rentals with a driver through a ‘transport agency,’ which specialise in providing cars and drivers. You can also book directly with individual drivers that own cars, which is definitely preferable. His incentive to provide you excellent service is higher as his business depends on recommendations from clients. India Someday works mostly with small providers and independent drivers we know well and have used extensively. Would the driver speak English? It really depends on different factors and varies from driver to driver. In more touristy regions like Rajasthan and Kerala it’s easier to find an English-speaking driver while in the northeast or in the Himalayas in the north it might be more difficult. The English won’t ever be absolutely fluent and he might not be able to answer all questions but we know that the drivers we book always try their very best to be understandable and helpful in the best possible way. Can the driver double up as a guide? With a car rental, the question always turns to guides, but unfortunately, no they can’t. Guides go through a study program to receive a license to work in India. With the license they not only accompany you inside all monuments but also give you a deep understanding and insight for the history and purpose of each place. The drivers rarely know enough about the cities from a historical perspective. However, they’ll most likely have their own tales surrounding places and monuments. They often like to talk about their families and own culture. If you meet a chatty driver it’s definitely an experience you won’t get anywhere else! For those of you who still want to gain a deeper and stronger grasp on Indian culture and its history, a guided service might be the thing for you. SHOULD YOU HIRE THE SERVICES OF A GUIDE OR TAKE GUIDED TOURS? There is no straightforward answer to this question. It really depends on the kind of traveller you are and if you’re travelling alone, as a couple, friends, family or in a group. Also in some places there are plenty of guides while in other areas or places you might not find English-speaking and licensed guides so easily. Some destinations have lots of interesting history to dig through (Delhi, Agra, Jaipur, etc.) while other places are more of an experience in itself (Munnar, backwaters, Goa). So when you plan your trip with us let us know what kind of traveler you are and what interests you the most. Groups, especially families with varied ages amongst the travellers. This will take the hassle for the main organizer of the group away. Also the driver won’t get distracted while driving. Culturally interested travelers with an appeal for history, culture and full understanding. Often travelers with more life experience. Travellers with less experience of travelling in Asia and similar regions. A little help on a daily basis as well as somebody who can minimize the effects of a culture shock might a good idea. As a personal preference if you prefer the services of a guide and insightful conversations throughout the day. Who usually wouldn’t hire guides? Are audio guides in India a good choice? Yes, audio guides are gaining popularity in India. In fact, they’re a great alternative to guided tours. They are fairly priced between INR 100 to INR 300 a tour. Sometimes the instrument can be shared between two people. From personal experience, we have really enjoyed the audio guides at the Taj Mahal, the Khajuraho Temples, the Amber Fort in Jaipur and the Mehrangarh Fort In Jodhpur. Audio Compass has 21 excellent audio tours with over 500+ points of interest across the country. We’ve always found their audio tours to be in depth and wonderfully curated. If there aren’t any audio guides, there will be plenty of other info material. They might not always be excellent but they do the job. WHAT ARE THE ADVANTAGES and disadvantages OF HAVING A GUIDE? Having a guide often shields you in cities that are little overwhelming to manage on your own. If you are new to India there will be many things you see that you can’t explain yourself. A guide is a good way to minimize the inherent culture shock. You also get good local restaurant and shopping recommendations. Essentially, you have a local by your side throughout the day. Something even we can’t prevent entirely is a guide leading you to certain shops and markets to earn some extra cash through commission. We work with a well reviewed and recommended tour guide service based out of Agra and most receive good feedback but it still happens from time to time. It will require a stern NO and maybe a hint that this behavior will lower the anticipated tip to avoid the waste of time. However, if you are interested in shopping, a guide might be able to take you to the best shops and help you negotiate. So don’t reject this offer immediately if you are looking for good deals. A guide will be helpful if you don’t want to research the history, the sights and the restaurant and shopping scene yourself and want to explore a city without stress. However, if you are a very independent traveller, you might find having a guide intruding. Can you also get a full-time guide who will accompany you during the trip? Of course this can be made possible but it would be very expensive and unnecessary. You can easily travel with a driver who can help you with general travel related and organizational issues while we can provide guides in most cities to learn more about the history and culture. Furthermore, the staff of the accommodations are generally very helpful and insightful and asking them for tips or help is highly recommended. Can you also hire the services of a guide at monuments as a cheaper option? You will find a number of guides outside each monument. Often they will approach you to sell their services. They are quite reasonably priced and usually have a rate card. Yes, they are often cheaper than hiring a guide or a guided tour in advance. However, we cannot assure their quality. We certainly do not take a strong stand against them. Often you might find a wonderful guide. However, if you are sure you want a guide then we would recommend spending that extra bit and having a good and truthfully knowledgeable guide booked well in advance. The cost of a guide or a guided tour varies from city to city. They are most expensive in Delhi and Mumbai. Everywhere else, you should expect them to cost between INR 1500 to INR 3000 for a day. Often this will include the expenses of other interesting activities like a boat ride in Varanasi. We can book the tours on your behalf and either you can let us know in advance everything you want to experience and see. On the other hand, the guide can also introduce you to his individual program when you meet him on the morning of your day tour. Those are personalised tours and the guides adjust the day program according to our wishes and requirements. In some cities like Mumbai, Delhi, Udaipur or Mysore for example you will find special group tours, sometimes on foot or bicycle. If you are interested in such services we can certainly recommend the best operators and book the tours on your behalf.